West Pune has emerged as a clear winner among Pune’s various real estate corridors. It is home to major global industrial hubs, with a massive representation of automotive and information technology clusters. Naturally, aspirations among home buyers in this region are high – they want the best homes in the best locations. This is why Puneville, the luxury township in Punavale by Pharande Spaces, has now become the most preferred residential destination. This futuristic integrated township in West Pune’s most happening location is by far the most luxurious residential option for discerning home buyers. Puneville has been designed and executed in partnership with globally acclaimed architects Aedas, and is the culmination of Pharande Spaces’ ceaseless quest towards perfection in township development. As countless property buyers have by now discovered, Puneville is indeed the ultimate statement in luxurious township living. Pharande Spaces has spared no effort, expense or stretch of imagination to make it the most desirable residential address in Pune. By design and intent, Puneville is a unique creation. Puneville consists of 16 towers, each with 23 storeys of uniquely crafted living spaces. In keeping with its elite ethos, apartments in Puneville are equipped with highest quality fittings, fixtures and marble flooring, sourced from leading manufacturers in Europe and Asia. The outdoor perfectly complements the interiors with every conceivable luxury feature, including Olympic-sized swimming pools for every cluster of buildings, landscaped gardens, tennis courts and a jogging track. Though Puneville offers buyers a choice between 2, 3 and 4 BHK apartments, the 4BHK configuration is by far the most preferred among home buyers who value privacy and spaciousness. A 4 BHK flat in Puneville is not only the ultimate address but also the smartest lifestyle choice. Today, luxury is once again about space for the entire family – space to live, space to work and space to relax in complete comfort and security. 4 BHK apartments in Puneville are fully equipped with smart home features, making life for residents literally effortless and an uncompromisingly joyful experience. No wonder, then, that this is by far the most popular choice from West Pune’s jet-setting home buyers who will not settle for anything less than 360-degree luxury. In addition, these oases of luxury are situated in the midst of an integrated township that offers self-contained and self-sustained infrastructure as well as all the ingredients of a modern, convenient lifestyle. In fact, a 4 BHK flat in Puneville is the perfect balance of residential luxury in a full-fledged township environment in West Pune, which is now the city’s most sought-after real estate investment precinct. Pharande Spaces is a leading construction and development firm that develops township properties in Western Pune. Pharande Promoters & Builders, the flagship company of Pharande Spaces and an ISO 9001-2000 certified company, is a pioneer in the PCMC area offering a diverse range of real estate products catering especially to the 42 sectors of Pradhikaran. 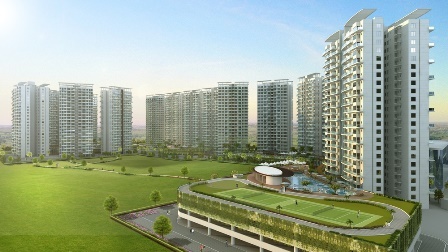 The luxury township Puneville at Punavale in West Pune is among the company’s latest premium offerings. 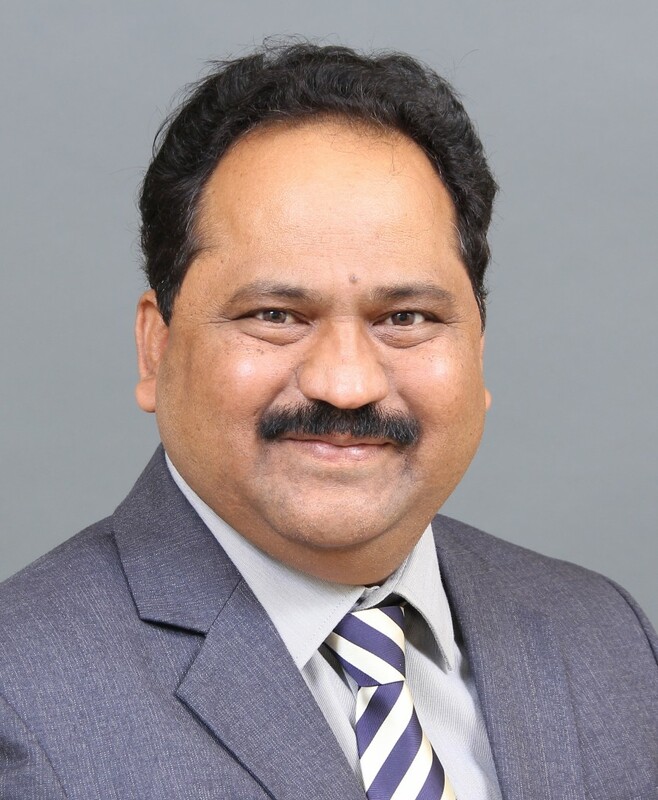 The Pune Metropolitan Development Authority (PMRDA), which took up seat in the PCNTDA offices in Akurdi, Pimpri-Chinchwad on May 1, heralds an era of much-needed change for real estate development in Pune. From this point onward, PMRDA will introduce the concept of scientific town planning to every part of the city. So far, proper town planning had only been followed in the the Pimpri-Chinchwad Municipal Corporation. The entire Pradhikaran belt has been developed by the PCNTDA (Pimpri Chinchwad New Township Development Authority) under strict development guidelines. 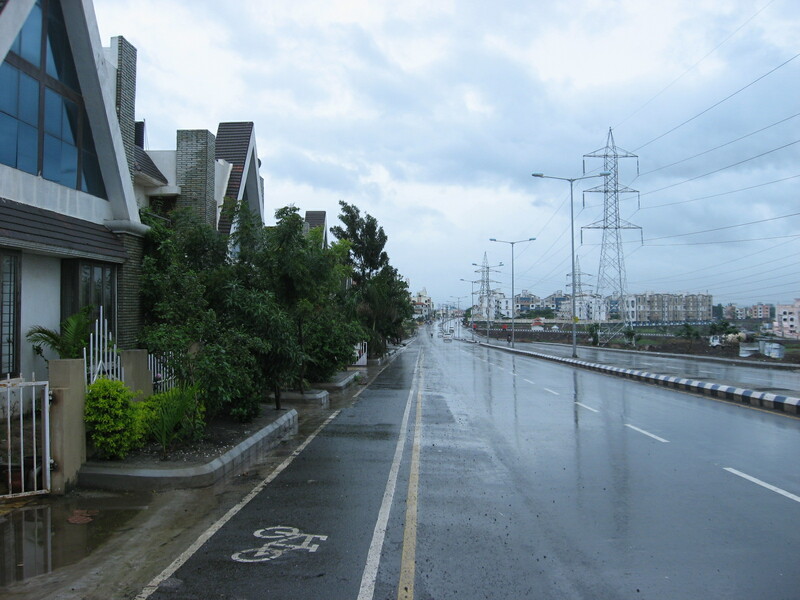 As a result, PCMC has become a showcase of planned urban development. 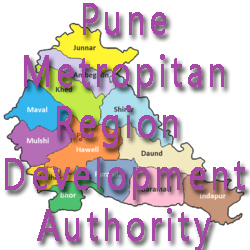 The jurisdiction of PMRDA will cover the whole or Pune, including PCMC as well as several talukas such as Maval, Bhor, Haveli, Shirur, Mulshi and Khed which fall in the Pune district. Talegaon Dabhade, Lonavla, and Alandi and also be included along with several outlying villages. For the very first time in Pune’s history, there will be a unified planning and development authority to bring order to the entire district. The model of development will be similar to the approach which PCNTDA has followed to develop Pradhikaran over the years. PMRDA will develop massive land parcels in a planned manner, areas will be zoned for residential and commercial development and support infrastructure such as electricity, water supply, sewerage and road networks will be put in place. Thereafter, they will be released for development under a newly-formulated development plan (DP) and regional plan (RP) which will replace all previous plans. In the meantime, PMRDA will also eradicate illegal developments. In the future, no construction will take place without complete vetting and authorization by the PMRDA. This approach to urban development will have a profound effect on real estate in the Pune region. 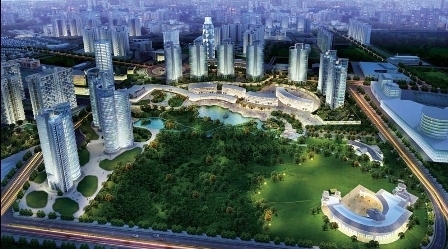 The value of land as well as any kind of built-up real estate will rise considerably, and the region will attract more and more investments from both within and outside the country. PCMC, which is already home to hundreds of global manufacturing companies, will see even more of such industries moving in and setting up operations. This will lead to incremental employment growth, which will bring with it massive requirements for commercial and residential spaces. In short, Pune will now be able to reach its fullest potential under PMRDA. The local economy is set to boom, and Pune will eventually become the new economic capital of Maharashtra. At given point in time, and regardless of economic conditions and other market variables, there will always be people who are not content with just any kind of home. As a result, the demand for luxury homes in India may rise and fall – but it never goes entirely away. It is driven by the rising standard of living and increasing disposable income among successful entrepreneurs, high-flying corporate executives and software professionals, and the wealthy scions of traditionally wealthy families. They want more than just four walls and a parking slot. Buying a luxury home is a matter of prestige – and why not? 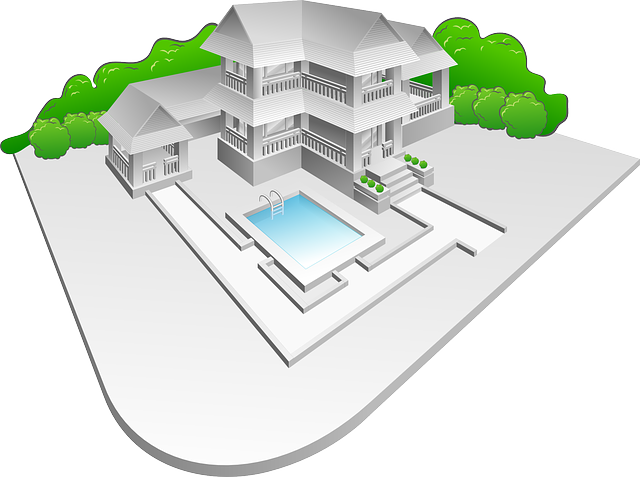 After all, most luxury home owners have bought their pride and joy with hard-earned money. They want to live in homes that announce their arrival, and offer a higher lifestyle rather than just a postal address. The very latest of today’s luxury homes provide all the modern comforts – and an ideal environment for living and raising a happy family. These homes are built to take care of the needs of a comfortable lifestyle. 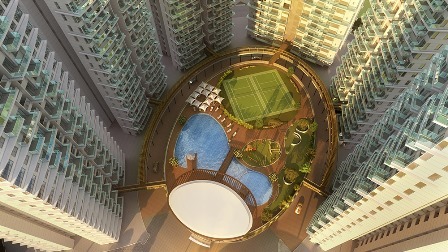 Features like swimming pools, themed, landscaped gardens, gyms, meditation centers, manicured lawns, electronic security, touch-button responsive fixtures, and entertainment and shopping available at close hand all contribute towards making the living experience more comfortable and enjoyable. 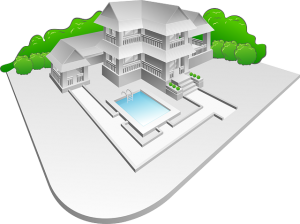 One important feature of luxury homes is that they have very high security. They have top-of-the-line security, both in terms of trained security personnel and security installation that guarantee safety. Further, accidents and medical emergencies can be quickly taken care of with immediate response triggered by technology, and the availability of hospitals and emergency rooms close at hand. Technology and IT innovation have gone a long way to make the living experience in high-end luxury homes extraordinary. From solar generators to remote controlled window shutters, everything is directed towards meeting the demands of homebuyers looking for an ultra-modern lifestyle. The benefits of housing one’s family in a luxury apartment do not only extend to conveniences. Luxury housing projects are also seen as the perfect environment for one’s children to grow up in and the adults to socialize in. After all, such projects basically form a society with a certain degree of culture, education and beliefs – in short, better neighbours. The increasing demand for properties in India rivals that of gold. Real estate and gold are the most traditional forms of wealth investment in India. However, properties present the advantage of being an asset that rises in value at every instance – and it is also a ‘performing asset’, meaning that it serves a practical purpose even as it gains in value. Given the fact that luxury homes are always in demand even on the secondary market, HNIs correctly see them as the perfect investment opportunity that guarantees multiplied returns in the future. 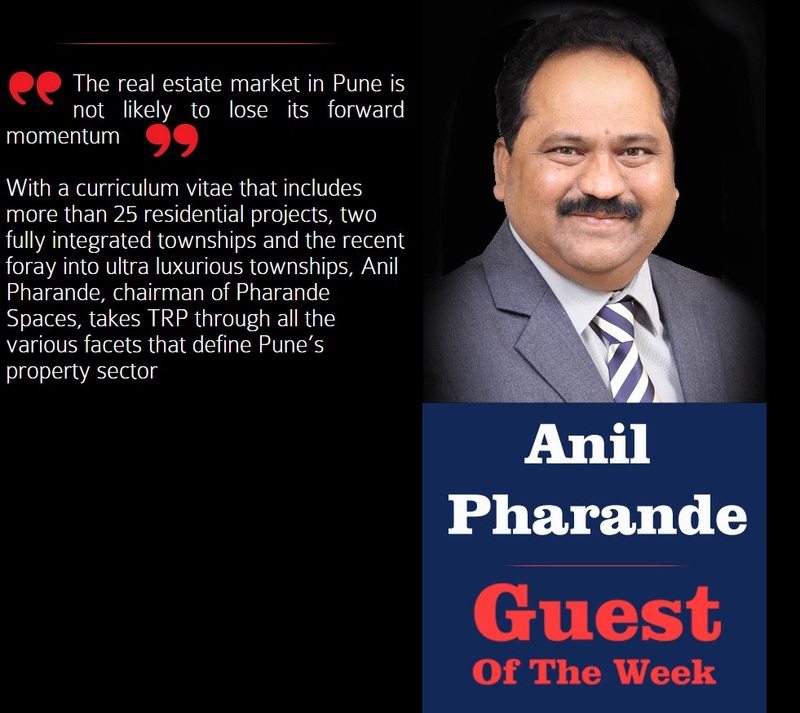 How is the current scenario in the Pune real estate market? Pune is a powerhouse of potential when it comes to real estate. It is a city of learning and entrepreneurship, and there is a distinctly progressive flavour to everything that happens there. Thanks to the fact that it has become a magnet for IT/ITES and manufacturing companies, the real estate market in Pune is not likely to lose its forward momentum. That said, I always had misgivings about the opportunistic manner in which property development was taking place within the PMC limits, and was far more interested in the holistic approach being adopted in Pimpri-Chinchwad. What are your focal points of a real estate development firm? In terms of locations, we have so far concentrated on the PCMC area and West Pune. My passion for real estate in PCMC has its reasons – the idea of being involved in the raising of a planned city on the lines of Chandigarh, so close to Pune, excited me. My primary objective has been to help steer the path of this planned development, which is why I got involved with CREDAI. Getting into the creation of township properties that would take the best advantage of the benefits that the PCMC offered in terms of superior infrastructure and phased real estate growth was the next logical step. When was Pharande Spaces established? Pharande Spaces was started in 1994 with negative capital. We launched purely on bank borrowings and goodwill. Where are you most involved in the development of projects? Since I come from a technical background, I have always placed great emphasis on employing the latest construction techniques in our projects. Our primary focus is on high-quality, visually aesthetic and lifestyle-oriented township projects that are environmentally sustainable and add to the grandeur of Pune’s real estate landscape. Is Pharande Spaces involved in any other business verticals? Apart from residential real estate, we are already into the manufacture of non-conventional energy equipment as well as distribution and power transformers. We have also forayed into the construction of malls and multiplexes. As already mentioned, we have so far concentrated on PCMC and West Pune, but are now firming up plans to expand into Goa as well. Were you impacted by the slowdown in the real estate market? Along with all other real estate development firms, Pharande Spaces faced all the ups and downs of the real estate market. 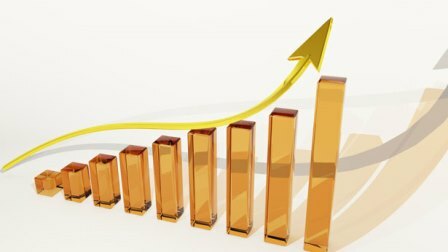 We did not incur losses during the downturn, but we certainly did not experience much growth during the phase. Thankfully, the slowdown is now over and demand for quality housing is back with in force. How many residential townships have you built till date? We have built more than 25 residential projects to date, which include large integrated residential projects and two fully integrated townships. L-Axis was Pharande Spaces’ first ultra-luxury township. Could you tell us more about the latest township you announced? L-Axis is definitely one of the largest luxury projects we have launched. More recently, Pharande Spaces launched Puneville, a one-of-its-kind ultra-luxury township at Punavale in West Pune. 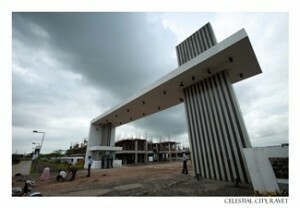 The project is being developed on the 50-acre plot of a de-notified SEZ. The location in the heart of West Pune is literally perfect, being one kilometre from Wakad and with ready access to Aundh and Hinjewadi and further on to Lonavala and Mumbai via the Pune-Mumbai Expressway. Puneville is a top-of-line luxury residential project designed on the lines of a luxury resort by Aedas, the global award-winning architects who have master-minded Venetian style hotels in Las Vegas and Macau as well as the Financial Centre in Shanghai and Marina Bay Sands at Singapore. Aedas ranks second among the world’s top architectural firms and will bring its full expertise to bear on Puneville. This project is by far the best in the country and incorporates every conceivable luxury feature, and outshines anything so far seen in residential real estate in Pune. How do you view the real estate business at a personal level? I am passionate about what I do, but have to admit that this business literally leaves no spare time at all. Relaxation is not even a factor. Quite possible, but I haven’t heard the complaints because I’m constantly on the phone. Where do you and your family go for vacations? Do you have any favourite destination? We have explored the world, mostly in context with my constant search for architectural inspiration for our projects. During these trips, my family members certainly enjoy themselves. We are particularly fond of Turkey, Singapore, Malaysia, Greece and China.